[Rome, Italy, November 08, 2018] On November 8 and 9, 2018, Huawei holds its annual Eco-Connect Europe event in Rome, Italy, under the theme of "For a DigitALL INtelligent Europe ". Eco-Connect Europe is Huawei's flagship event in Europe. At the event, Huawei showcased its "Platform + Ecosystem" strategy, displaying a comprehensive range of the latest ICT products in emerging fields such as cloud computing, IoT, Big Data and digital platforms, as well as new industry solutions for Smart Cities and manufacturing. Huawei has also collaborated with customers and partners to demonstrate its progress in helping Europe go digital by enabling the digitization of European enterprises. As a leader in driving the development of digital and intelligent society, Huawei has been working with partners from a wide range of fields and industries around the world to build customer-centric and innovative industry solutions to promote both the digital transformation and the development of an industry ecosystem. Ernest Zhang, President of the Huawei Enterprise Business Group in Western Europe, said: "Currently, Huawei has built two OpenLabs in Munich and Paris. The former focuses on Smart Manufacturing and Smart Cities, while the latter focuses on the IoT, automobile industry and retail business. By the end of 2018, Huawei will complete the expansion of the OpenLab in Munich. By the end of 2021, there will be three Huawei OpenLabs in Europe, with a total investment of US$50 million. Huawei will use these labs to carry out future-oriented joint innovations with European customers and partners in the areas of Smart Manufacturing, IoV and Smart Cities. Huawei will provide ICT platforms to help local partners in solution testing, verification and optimization. We will also work with partners to jointly develop industry solution and explore the market. Furthermore, OpenLab will also provide an excellent environment for training and solution experiencing." Huawei collaborated with Microsoft to release the all-flash Azure Stack solution to accelerate the development of hybrid cloud services. Huawei and TIM launched a joint SD-WAN solution for enterprises to build networks of optimal experience. Huawei and Digicom signed a MoU to work together on smart parking terminals and OpenCloud. Huawei and WAGO signed a MoU to develop an automation and energy efficiency management solution for smart factories. Huawei and Eluminocity signed a MoU to carry out joint innovation for smart city development. Ruiqi Fan, Vice President of Marketing and Solution Sales of Huawei Enterprise Business Group in Western Europe, said: "In the era of digital transformation, Huawei works constantly to enhance its platform capability. Guided by the Moore's Law, we drive product innovation and evolution. Focusing on the three fields of DC network switches, Wi-Fi access device and SW-WAN router, the latest generation of AI-empowered IDN products and solutions we have just released can help build user-centered, simplified ultra-broadband networks that enable enterprises' digital transformation." Together with more than 20 alliances and solution partners including SAP and Digicom, Huawei demonstrated its solutions and use cases in the four vertical sectors relating to Smart Cities, manufacturing, finance, and energy. For Smart Cities, Huawei's innovative Intelligent Operation Center (IOC) solution collects, cleans, and analyzes data from each subsystem of the city, providing information which indicates the status of the whole city and guidance for decision-making. Moreover, the solution implements real-time resource management and indicates the status of public resources in a city. It integrates different service types such as voice, video, trunking, GIS map, call centers and command centers, which help urban managers cope with emergencies. Based on its Smart City digital platform, Huawei and its partners demonstrated many innovative Smart City applications. For example, the innovative smart metering solution developed by both Huawei and Qloud gives traditional analog meters the power of intelligent metering, slashing the costs of meter replacement. Huawei will also demonstrate other innovative smart city applications such as the smart lighting solution it co-developed with Eluminocity, and the smart waste container solution it co-developed with Zolitron. To enable smart driving, Huawei provides a high-computing, high-security, energy-efficient, and low-latency vehicle-mounted Mobile Datacenter (MDC). The MDC is an open vehicle-mounted hardware computing platform that provides a wide range of tool chains. Automobile manufacturers, tier-1 suppliers and third-party algorithm developers can adapt and develop automatic driving applications based on the MDC. Using the MDC, Huawei will be able to cooperate with all carmakers and tier-1 suppliers. 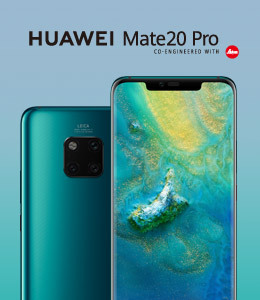 The event saw the largest number of new products that Huawei has ever showcased in Western Europe. These products spanned categories including computing, storage and cloud service platforms. Products and solutions on display included the intelligent Atlas platform that integrates edge computing and data centers, as well as the latest all-flash, high-performance system that provides storage resources for customers' multi-service bearing and an automated STaaS data governance solution. Huawei also showcased its enterprise cloud platform with over 120 cloud services in 16 categories. These products, solutions and platforms form the most powerful information infrastructure solution portfolio in the industry. Huawei aims to help customers reduce risks, costs and complexity in line with their requirements. Furthermore, using AI, Big Data, the cloud-based IDN solution, and the CampusInsight solution, Huawei can help customers locate network faults in minutes, forecast potential risks, and perform preventive maintenance in response. Huawei's data center network (DCN) solution supports flow-based visualization and proactive congestion control, safeguarding application scenarios relating to Artificial Intelligence, Big Data analysis and high-performance computing for enterprises. The branch WAN interconnection solution provides the most intricate WAN interfaces and networking capabilities in the industry, as well as the most accurate application quality detection, to ensure optimal user experience in various network conditions. Huawei is eager to work with customers and partners to make full use of platform capabilities to drive enterprise digital transformation and upgrade in a comprehensive, long-term manner. Currently, 211 of the world's top 500 companies (and 48 of the top 100 companies) have chosen Huawei as their digital transformation partner.